This past weekend we were camping at Montague Harbour with the Scouts, on Galiano island. We came across a pretty little purple orchid. The problem is We don’t know what it is. It stands about 10-15 cm tall, and has a purple flower with 5 petals, and a pitcher like bottom to the flower giving it a dragon like face. Here are a couple of pictures. Can you identify this flower? 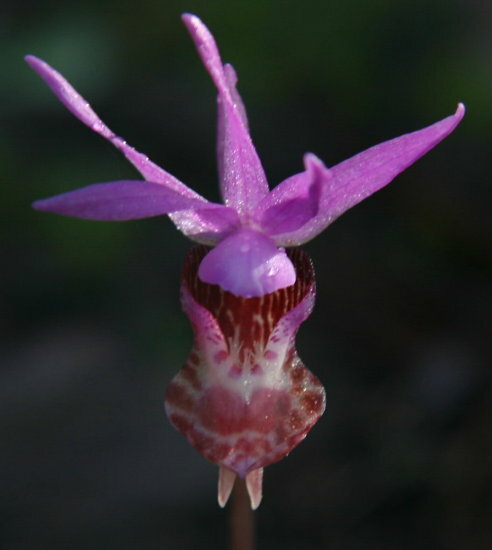 If you know what this beautiful little flower is, please leave a comment! Thanks! 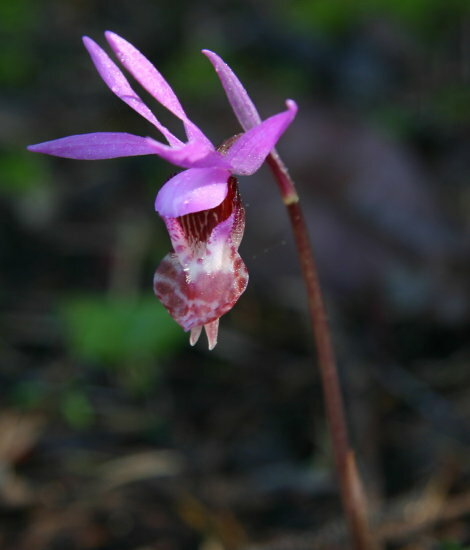 Note – Thanks to Sam – It has been identified: “Calypso Bulbosa” aka Fairy Slipper or Venus’s Slipper!!!! Video replay in Judo – Technology continues to creep into our lives! At the All Japan Championships, for the first time ever – they used video replay to determine a winner of a Judo match. It will definitely be interesting to see how this changes Judo, a sport which has relied on 3 different sets of eyes to make the call regarding points in a match. Now, there will be longer breaks and the flow of the match may just be broken up even more as officials and participants wait for the judges to view the replays. I don’t know if I like it or not, but it will help to bring more objectivity to the Judo refereeing process which, at times it seems it needs. And so the technological train just keeps rolling on.